Prime Minister Imran has said that his government is working on establishing a Seerat chair in three major universities, and stressed upon the need for scholars to research on the life and teachings of Holy Prophet Muhammad (Peace Be Upon Him). 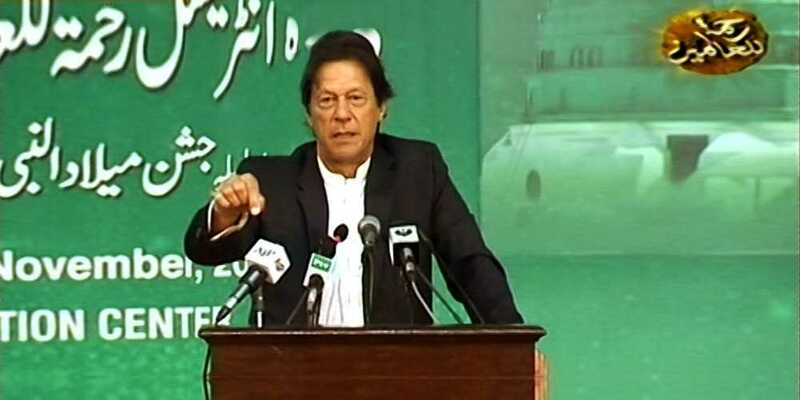 The prime minister was addressing a two-day International Rahmatul-lil-Alameen (Peace Be Upon Him) Conference at the Jinnah Convention Centre in Islamabad. He said that Pakistan would spearhead the International Convention on Preventing the Defamation of Religions. The prime minister spoke of how every few years some western countries would insult Prophet Muhammad (Peace Be Upon Him) which would lead to Muslims getting angry and protesting. According to the prime minister, this would only strengthen the enemies of Islam in the west and give them an opportunity for propaganda. Prime Minister Khan highlighted how his government had been successful in raising the issue of blasphemy on international forums. The prime minister in his address emphasised the importance of learning about Prophet Muhammad’s (Peace Be Upon Him) life and teachings in order to become better human beings.